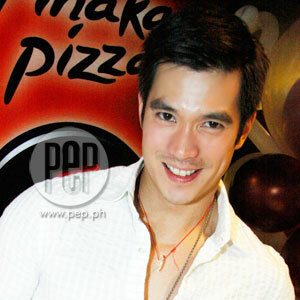 Actor Diether Ocampo has reportedly signed a maximum four-year contract with GMA-7 last Monday, November 17. Considered as one of the top leading men of ABS-CBN, Diet's first project as Kapuso star is reportedly the Pinoy adaptation of the Koreanovela All About Eve. "Let Diether make his own announcements soon." This was what Ms. Wilma Galvante, GMA-7 SVP for Entertainment TV,told PEP (Philippine Entertainment Portal) in a text message earlier today, November 19, when we asked herif Diether Ocampo is really transferring to the Kapuso network. Entertainment editor and columnist Ricky Lo reported inPhilippine STAR today that Diether "has jumped ober da bakod"from ABS-CBN to GMA-7. According to his report, the actor already signed a"maximum of four-year contract" with the Kapuso network last Monday night,November 17. Ricky also reported that Diether's first project as a Kapusostar will be the Pinoy adaptation of the hit Koreanovela All About Eve, whichwill be topbilled by Sunshine Dizon and Iza Calzado. Also in the cast areformer Kapamilya stars Jean Garcia, Eula Valdes, and Richard Gomez. Ricky added that Diether "very kindly informed his bosses atABS-CBN" before inking a deal with GMA-7. The actor was last seen in the ABS-CBNprimetime soap Iisa Pa Lamang, where he played the leading man of ClaudineBarretto. Diether started his career in ABS-CBN as a member of StarCircle Batch 2. As far as we know, he is still being managed by Star Magic, theKapamilya network's talent arm headed by Mr. Johnny Manahan. In fact, Diether is included on the cover of the 2009 Catalogue of Star Magic, along withthe other bigger stars of ABS-CBN. If Diether has really transferred to the Kapuso network, he will join other former homegrown Kapamilya stars who also made the big switch. The list includes Jolina Magdangal,Marvin Agustin, Paolo Contis, Camille Prats, and Heart Evangelista, to name a few. Diether is still considered one of the top leading men inABS-CBN, so if this report is true, then his decision to move to GMA-7 isa big surprise. What prompted him to leave ABS-CBN after more than 13 yearsand transfer to GMA-7? These questions will soon be answered when Dietherfinally makes his announcement, as Ms. Wilma told PEP. PEP also tried getting additional information from otherGMA-7 executives, but they still have to return our calls and text messages. We will keep you posted as soon as we get a report.